Complete the form below to become a UA member and receive strategies & tools to combat anxiety, with my ebook "The #1 Thing to Stop Doing". The book will introduce you to the first, most important step of a counterintuitive route to winning over anxiety. 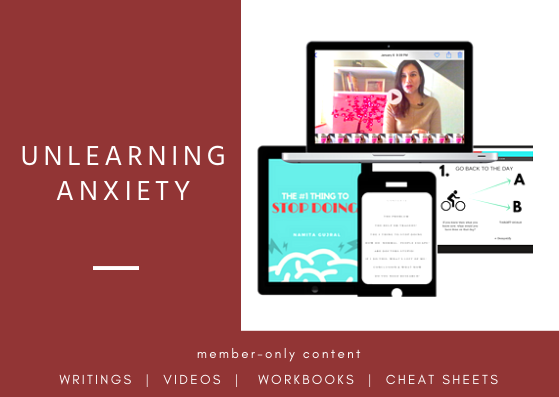 Then about twice a month, I'll give you content that'll untangle anxiety's seemingly impossible traps, and I'll do this through simple writings, practical workbooks and handy cheat sheets. You can opt-out anytime in the future by a one-click button in any email. Let's try some other, useful ways of solving this anxiety puzzle.